It is incredible to me when everything you are being taught by God in a certain week connects and interlocks together. This past week has been a challenge of living by Faith. We see time and time again, individuals in the Bible who have lived by faith: Abraham, Moses, and Noah to name a few. They were all dealt unique circumstances that required faith. No matter the obstacle they faced, their automatic response was to trust God. It was by faith that they pulled through their circumstances. In the Bible, there are two kinds of people: Those who lived by faith and those who let doubt get in the way of their faith. So, how do you overcome your doubts? George Mueller once said, “If we desire our faith to be strengthened, we should not shrink from opportunities where our faith may be tried, and therefore, through trial, be strengthened.” Just like reading the Bible or other aspects of Christianity, faith must be continually used in order to be strengthened. You don’t expect to get better at a sport without working on it diligently, so why would you expect your faith to increase without constantly putting in the effort to work on it? The Bible talks a lot about faith. Hebrews 11:1-3, 6 says, “Now faith is the assurance of things hoped for, the conviction of things not seen. For by it the people of old received their commendation. By faith we understand that the universe was created by the word of God, so that what is seen was not made out of things that are visible…And without faith it is impossible to please him, for whoever would draw near to God must believe that he exists and that he rewards those who seek him.” Hebrews states it plainly. Living by faith is one of the most important aspects of Faith. Think of it like this, in some ways, living by faith separates the men from the boys. Any boy or girl can have faith, but it takes a real, mature man or woman to constantly live by faith. 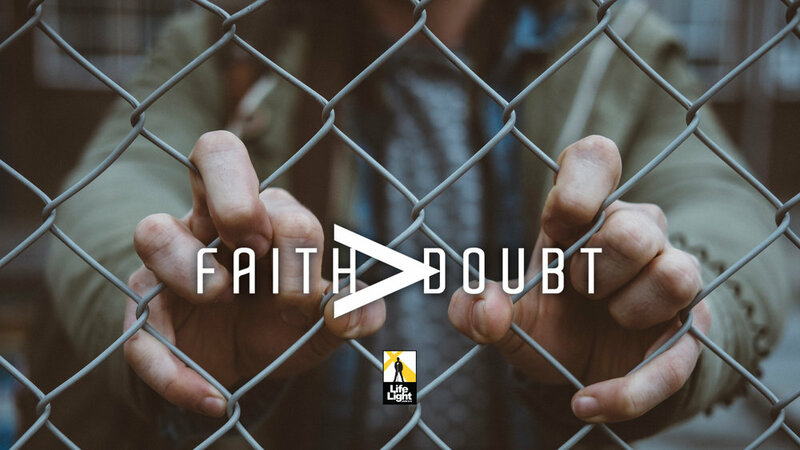 As you mature in faith, doubt gets easier to overcome. Charles Spurgeon said, “Doubt Thee, my Lord? I could doubt all except Thee; and doubt myself most of all.” Although the Devil is constantly whispering lies in our ears, one big reason we doubt is our failure to remember God’s past providences in our lives. Every day struggles are opportunities to practice living by faith and eliminating doubt. It is our job, after the fact, to remember the times God has provided for us. Actively remembering these times will help you grow in faith. When you remember how God has helped you in the past, it becomes easier to rely on Him for the things to come. Living by faith is way bigger than any doubts you will ever have; take the time in your daily lives to practice living by faith!